LONDON: Scientists have identified a gene mutation that may interact with alcohol in some patients to accelerate heart failure. 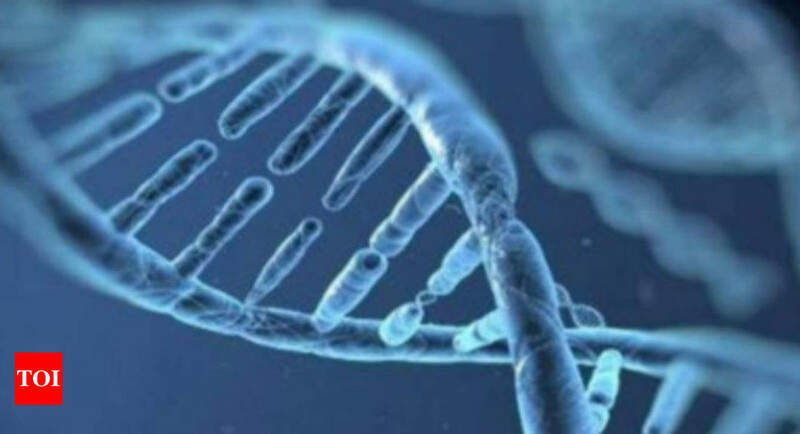 Researchers at Imperial College London, Royal Brompton Hospital and the MRC London Institute of Medical Sciences in the UK have been investigating flawed versions of a gene called titin, which is borne by one in 100 people or 600,000 people in the UK. Titin is critical in maintaining the elasticity of the heart muscle, and flawed versions are associated with a type of heart failure called dilated cardiomyopathy. The study, published in the Journal of the American College of Cardiology, showed that the defective gene can interact with alcohol to accelerate heart failure in some patients with the gene, even if they drink only modest amounts of alcohol. 41 patients with one type of heart failure called alcoholic cardiomyopathy (ACM). This condition is triggered by drinking more than 70 units a week (about seven bottles of wine) for five years or more. In severe cases, the condition can be fatal or leave behind patients who require a heart transplant. The team found that the defective titin gene could also play a role in the condition. The study found that 13.5 percent of patients wore the mutation – much higher than the proportion of those who carry them in the general population. The findings suggest that this condition is not simply due to alcohol poisoning, but is due to a genetic predisposition – and that other family members may also be at risk, said James Ware of Imperial. In a second part of the study, the researchers investigated whether alcohol could play a role in another type of heart failure called dilated cardiomyopathy (DCM). This condition causes the heart muscle to become stretched and thin and has a number of causes, including viral infections and certain medications. The condition may also be genetic, and it is believed that about 12% of cases of DCM are associated with a defective titin gene. In the study, the team asked 716 patients with dilated cardiomyopathy how much alcohol they consumed. None of the patients consumed the high alcohol content required for the ACM. However, the team noted that even in patients whose DCM was caused by the defective titin gene, even moderately increased alcohol intake (defined as drinking above the recommended weekly limit of 14 units) affected the pumping capacity of the heart. Now more research needs to be done to investigate how alcohol can affect people who carry the faulty titin gene but do not have heart problems, said Paul Barton of Imperial. "Alcohol and the heart have a complicated relationship. While moderate levels can have cardiovascular health benefits, too much can cause heart problems." This research suggests that in people with titin-related heart failure, alcohol can worsen the condition Barton.